The Royal Canadian Mint is piloting its MintChip digital currency in the cafeterias at its Ottawa and Winnipeg facilities — and is using NFC technology to enable employees to make purchases with the Bitcoin alternative. 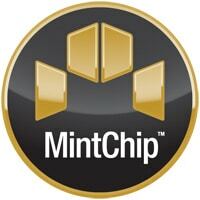 MintChip is designed to be a digital representation of money, sharing many of the same qualities as physical cash. Transactions are anonymous and almost instantaneous and should also be cheaper, the Mint says, because the cost of managing a digital currency would be lower than that of cash. Unlike virtual currencies like Bitcoin, MintChip is also designed to be issued by a country’s central bank, giving it the same legal status as coins and banknotes. For the pilot, SecureKey’s Briidge.net Connect platform has been integrated into a MintChip mobile app and MintChip-enabled Ingenico POS terminals have been installed at the checkout in both cafeterias. Employees can then make purchases with the virtual currency by downloading the MintChip app, loading funds from a linked account and tapping their phone to the POS terminal at the checkout. “The basic concept is that MintChip is anchored in a cloud-based account, so that’s where you top-up your virtual currency from a customer bank account or a credit card,” SecureKey’s Andre Boysen explained to NFC World. “They’re starting with NFC because they’ve got devices in market that enable them to do that and provide a great user experience,” Boysen added. “The end date to the pilot remains to be determined,” the Royal Canadian Mint told NFC World.